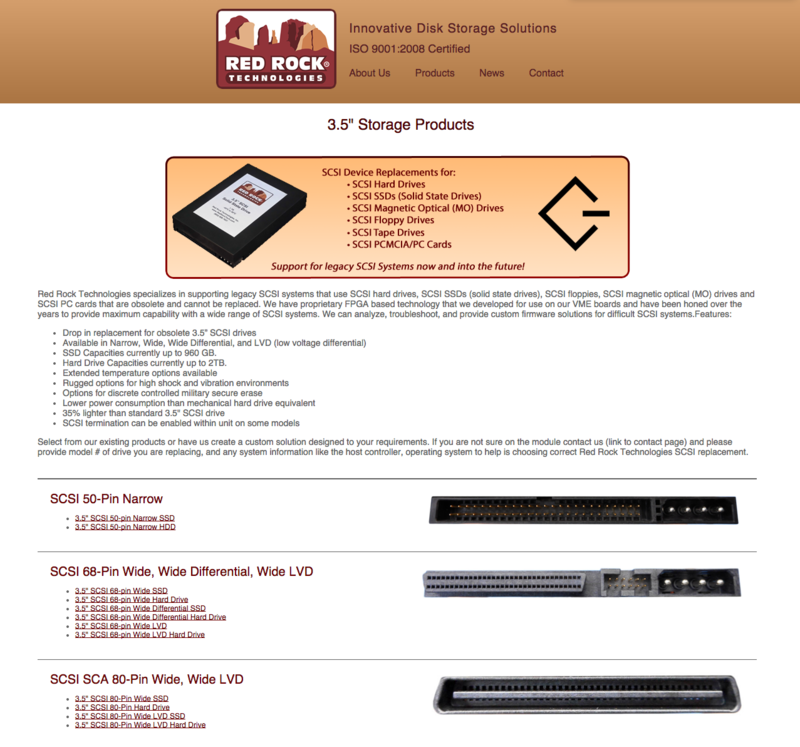 Red Rock Technology is a company located in Tempe, Arizona, and specializing in legacy hard drive systems. This website was developed to be their company homepage and online catalog. The primary goal of the site was ease-of-use: a control panel was developed to give the company webmasters the ability to create and organize content quickly and easily. 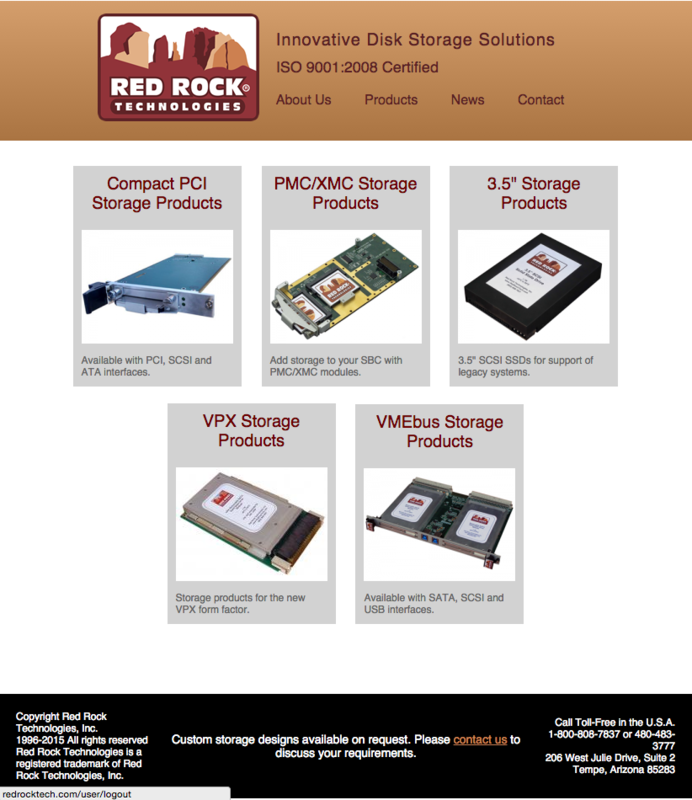 As with all websites that I develop, the Red Rock Technology site is fully responsive and looks good on any screen size. 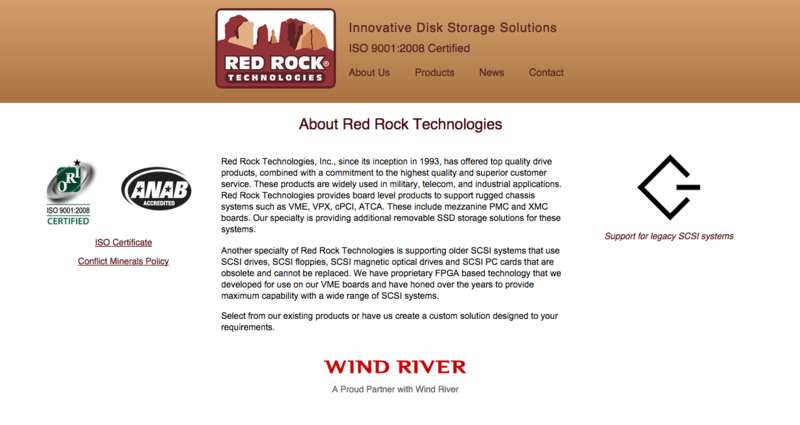 Red Rock Technology contracts with customers all over the world. This site is built to be robust, clean and easy enough to engage with all of them.